Click the button below to add the Peach No Sugar Added Spread to your wish list. The fruit tastes so fresh in these no sugar added jams. It is just like fresh peaches, over your toast or bagel. You would swear you just cut up a peach from the tree. 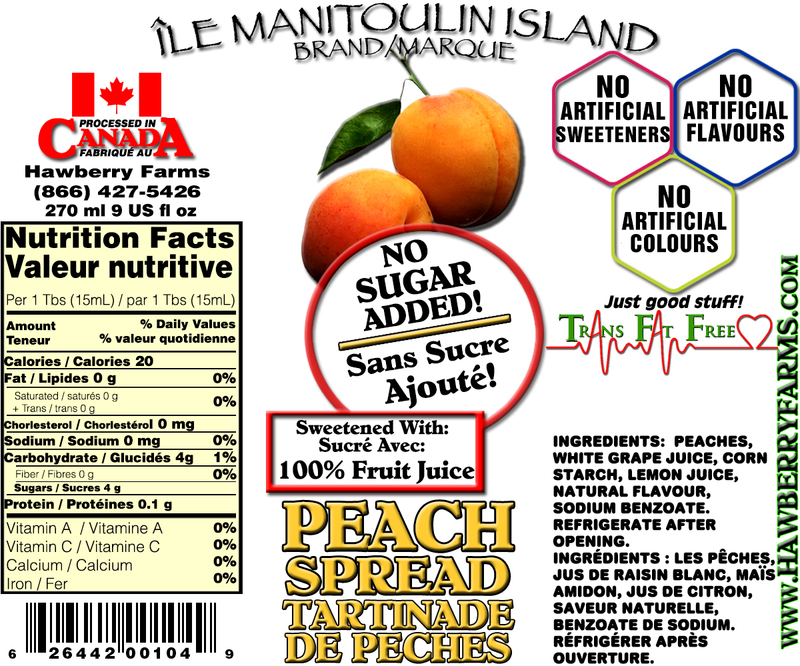 Ingredients: Peaches, white grape juice, corn starch, lemon juice, natural flavour, sodium benzoate. This peach jam is the absolute best I have ever tasted...especially being no sugar added! Can't be beat! I love it! I have been using this and other sugar free products and found this one to be my favourite. It has lots of peach pieces and is not too sweet.